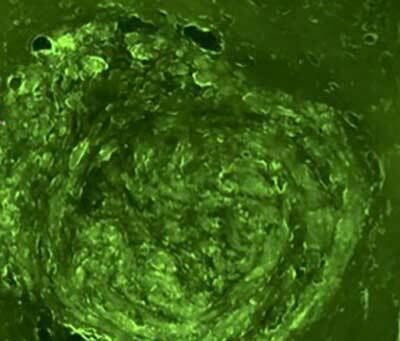 (Nanowerk News) Taking a biopsy of a brain tumor is a complicated and invasive surgical process, but a team of researchers at Washington University in St. Louis is developing a way that allows them to detect tumor biomarkers through a simple blood test. Chen, assistant professor of biomedical engineering in the School of Engineering & Applied Science and of radiation oncology in the School of Medicine, said while researchers have already learned how to get a drug through the blood-brain barrier into the brain via the bloodstream, no one -- until now -- has found a way to release tumor-specific biomarkers -- in this case, messenger RNA (mRNA)-- from the brain into the blood. Results of the study, which blends imaging, mechanobiology, genomics, immunology, bioinformatics, oncology, radiology and neurosurgery, are published in Scientific Reports ("Focused Ultrasound-enabled Brain Tumor Liquid Biopsy"). Once they had the target -- in this case, the brain tumor -- researchers then injected microbubbles that travel through the blood similar to red blood cells. When the microbubbles reached the target, they popped, causing tiny ruptures of the blood-brain barrier that allows the biomarkers from the brain tumor to pass through the barrier and release into the bloodstream. A blood sample can determine the biomarkers in the tumor.